Welcome to the Neptune Association. Founded in December 2002, the Association is dedicated to the memory of those 764 seamen from the Royal Naval Cruiser H.M.S. Neptune and 73 more from the K Class Destroyer H.M.S. Kandahar, who died when the ships were sunk by mines in Libyan waters on the night of 18th/19th December 1941. The tragic mining and sinking of Kandahar and Neptune - of whose crew only one man is known to have survived - was the second most substantial loss of life suffered by the Royal Navy in the whole of the Mediterranean campaign, and ranks among the heaviest crew losses experienced in any naval theatre of World War II. For New Zealand and South Africa the sinking of the two ships was the single largest loss of life of their nationals in the entire war. 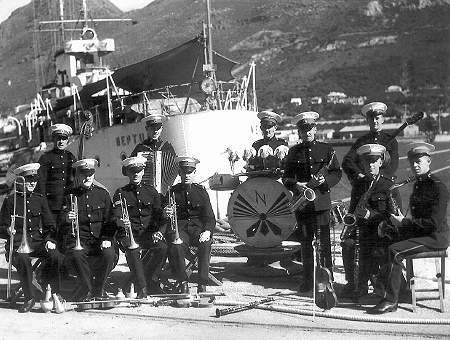 Founded by relatives of the crew, the Association aims to unite all those interested in what happened to Neptune and Kandahar in commemorating those who died; and to promote historical and educational research into the background to the 'Force K' naval campaign, the mining and loss of the two ships, the disputed context of their sinking, and the key part played by sister vessels and their Commanders in attempting to rescue the two ships.